We, the undersigned lawyers and jurists, write to express our deep concern about the scores of lawyers detained or intimidated in China. The crackdown began on the night of 9 July 2015 with the detention of lawyer Wang Yu, her husband and their 16-year-old child in Beijing. 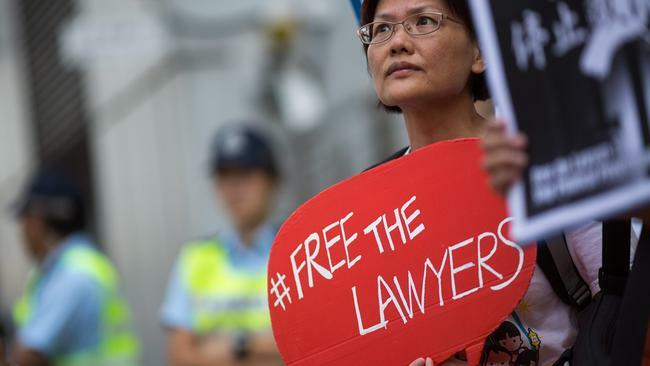 Since then, hundreds of lawyers, law firm staff and family members have been subject to intimidation, interrogation, detention as criminal suspects, and forced disappearance. Twelve lawyers and legal assistants remain under criminal detention or arrest. Most of those under arrest are suspected of “subversion of state power” or “inciting subversion of state power”. None of them have so far been allowed access to counsel, friends or family, and they are effectively disappeared. In some cases there is good reason to fear that they were put under pressure to “dismiss” their previously appointed lawyers. Some are not known to be suspected of any crime at all; and in the additional case of lawyer Li Heping, the Chinese government has so far declined to admit that he is being held at all. We fear that without legal representation of their own free choice or other legal protections, the persons above are at high risk of torture or other cruel and inhuman treatment. Our concern is heightened by the findings of the UN Committee Against Torture, which stated on 9 December 2015 that it “remains seriously concerned over consistent reports indicating that the practice of torture and ill-treatment is still deeply entrenched in the criminal justice system, which overly relies on confessions as the basis for convictions”. Moreover, the state-controlled Chinese media have in a series of broadcasts denounced a number of detained “suspects” as members of a crime syndicate engaging in “rights-defence-style troublemaking”, and paraded some of those detained “confessing” to wrongdoing before they have even been publicly indicted. Ensure that those detained and their colleagues will be protected from any future control measures such as: tracking and following, violent attacks, soft detention, “being travelled”, being asked to have “chats”, criminal, administrative, judicial detention, forced disappearance, torture and psychiatric incarceration.